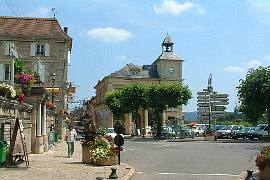 In the centre of Le Bugue the Aquarium is just the place if you have young children to entertain. 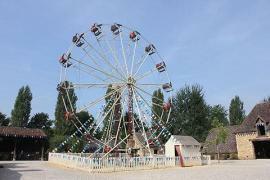 In fact Le Bugue is a good choice for families as there are a number of attractions for children nearby. 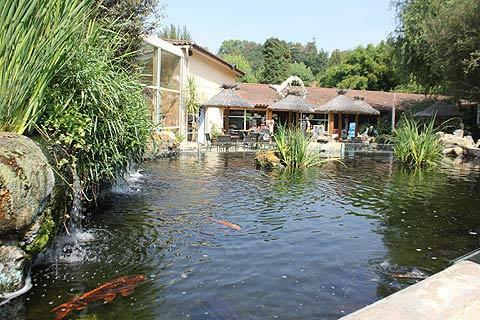 The aquarium at Le Bugue is a smallish fresh water aquarium - so no sharks but it has a pleasant family friendly atmosphere and lots of interesting displays. In fact the Aquarium at Le Bugue is the biggest fresh water aquarium in Europe! 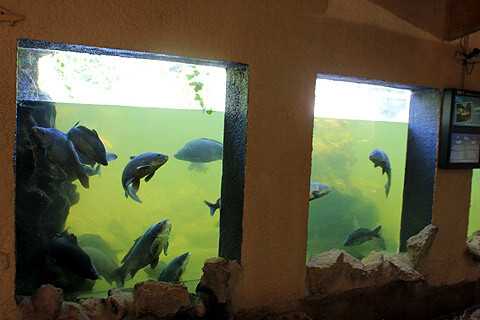 The visit starts at the aquarium with large tanks of carp, trout and various other freshwater fish. 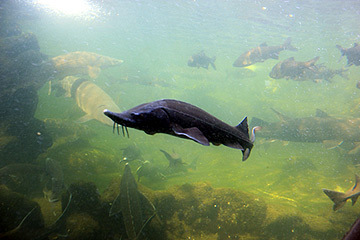 At the end are tanks of sturgeon which are huge and have a rather shark-like appearance. 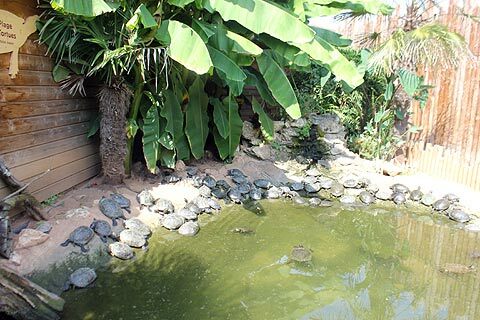 Emerge from the aquariums to the outdoor pools where you can participate in feeding the fish. You can also see a pool full of turtles. 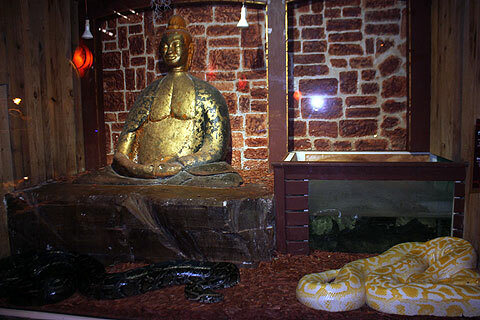 Next there is the new Anaconda House full of lizards and serpents in a wide range of sizes and colours. 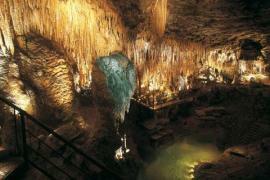 This attraction was added to celebrate the Aquarium's 20 year birthday. 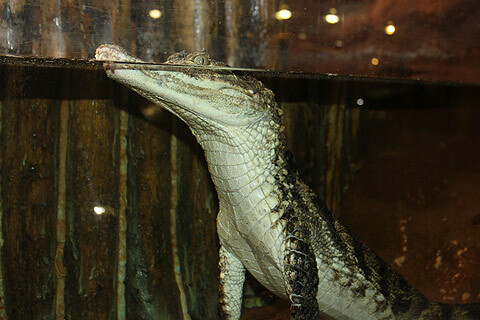 Also new to the Le Bugue Aquarium in 2012 is the alligator park. This was built to celebrate their 25 years. The alligator park covers over 1000 meters square and includes a mock up of a house of an alligator hunter, an alligator ranch and an alligator bayou with a nursery section. When you have enjoyed all the sights there is a pleasant cafe area selling drinks and snacks and next door is a mini-golf if you are looking for more entertainment. The Aquarium is open every day from the 12th February to the 11th November. 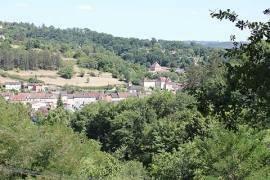 Another excellent place to visit with children is Le Bournat next door. 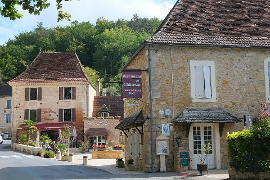 This is a recreation of an old time village with traditional workshops and crafts. It also has old fashioned fairground rides. 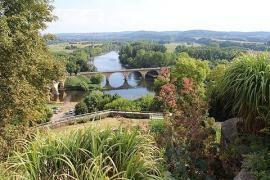 If you are blessed with good weather head south to the river beaches at Limeuil. 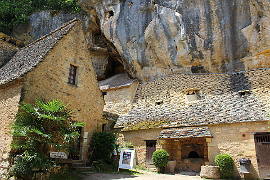 This is also one of France's most beautiful villages. 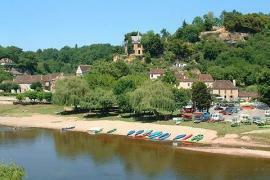 Alternatively canoing on either the Dordogne or the Vezere river is great fun for families.